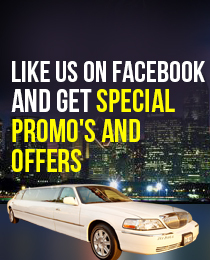 With the best limousine fleet in Glendale, ULC limo is a trusted name. We have been catering to all kinds of special occasions, as well as private commutes and trips, through our limos in Glendale for years. Our high-grade customer service has made us a favorite limousine rental service in Glendale. But we could not have done it without the love and support of our clients. We cater to all types of clients, who hire our limos in Glendale to add a touch of royalty and comfort to their commute. They trust us for a number of reasons, but the biggest reason behind us being the best and most trusted limo rental service in Glendale where we treat each and every client as special and important. Every limo rental in Glendale is thoroughly cleaned, inspected for safety and prepared for the occasion before it goes on hire to a client. Each limousine in Glendale is connected through radio to ensure the most comfortable routes and complete safety. We offer the most variety of high-end limousine models in Glendale, which include luxury Sedans, Stretch Limos, Party Buses, Hummers and many more models you can find on ULC’s website. We offer special limousine service in Glendale for birthdays, weddings, concerts, proms, corporate functions and any other occasion. Our main focus is always on the quality of service that our limousine in Glendale provides to our customers. We also offer car rental in Glendale that allows you to drive a luxurious car like a Hummer or Executive Sedan. Which Glendale Limo is Right For You?